We love nature and I love encouraging my children to enjoy nature. 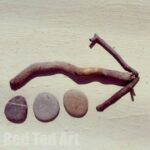 We are always collecting sticks and stones, much to The Englishman’s dismay (they end up all overthe house). But I just can’t resist them. Tactile, beautiful and well, simply nature. 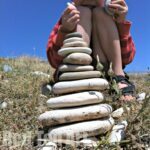 This time round, I decided to come up with a number of nature play ideas for the kids (whilst we were on holiday). The key ingredient: NATURE. And nothing else. No pens, scissors, string etc. Simply nature. 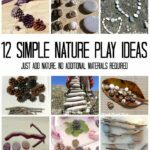 Find all our Nature Play Ideas here! And we are sharing our photos from our holiday to hopefully inspire you too! 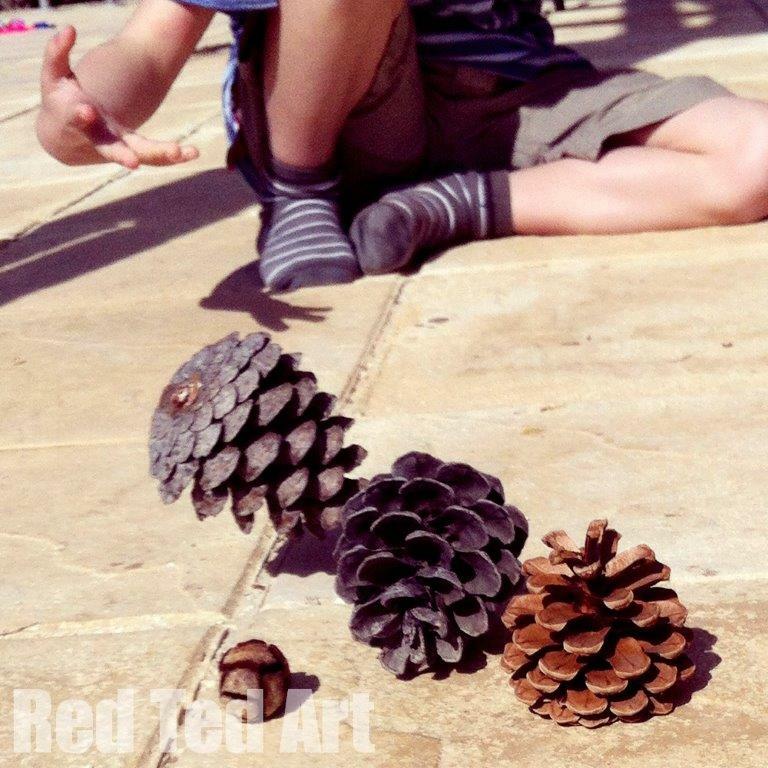 Our pine cone bowling nature activity is loosely based on “boules” or marble games – the idea is simple – try and get your pine cone as close to your marker as possible. 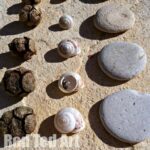 In our case we used a mini pine cone as a marker, but you could use a stone or a stick. 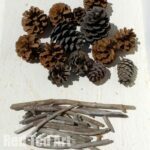 We were also fortunate enough to find two different coloured pine cones. Fret not, if you only have “one coloured” ones, you could sort them by size or stuff some leaves or grass into some of them to distinguish who has which. 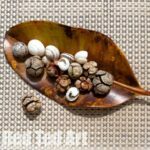 If you live in an area with no pine cones, this would work great with stones (just make sure you throw them “flatly” so no one gets hurt), conkers (horse chestnuts), acorns (like marbles) and possible sticks. Just experiment!! 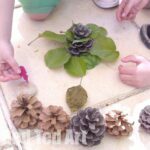 If you are at home when playing this, you could consider dipping your pinecones in paint to create sets for different players. 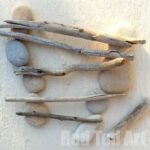 More nature play ideas here!